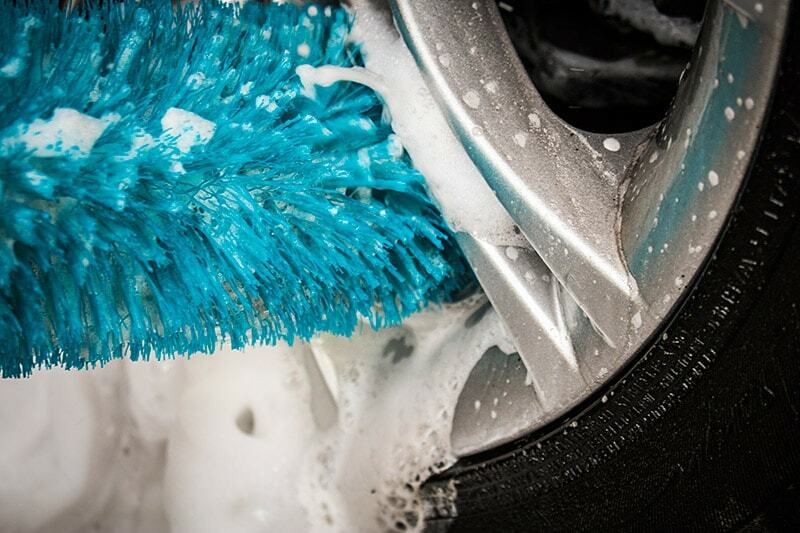 This brush is exclusively designed to clean tires, spokes and forks. Its soft and flexible nylon bristles do not scratch the metal parts of the rims. 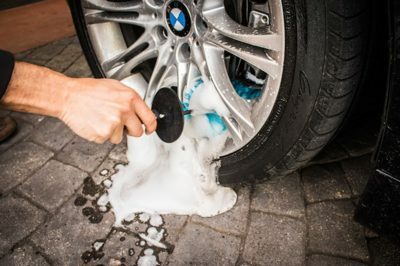 It is a safe and excellent washing tool to work in the narrowest places. Their bristles do not scratch the transparent coating made of chrome or aluminum. 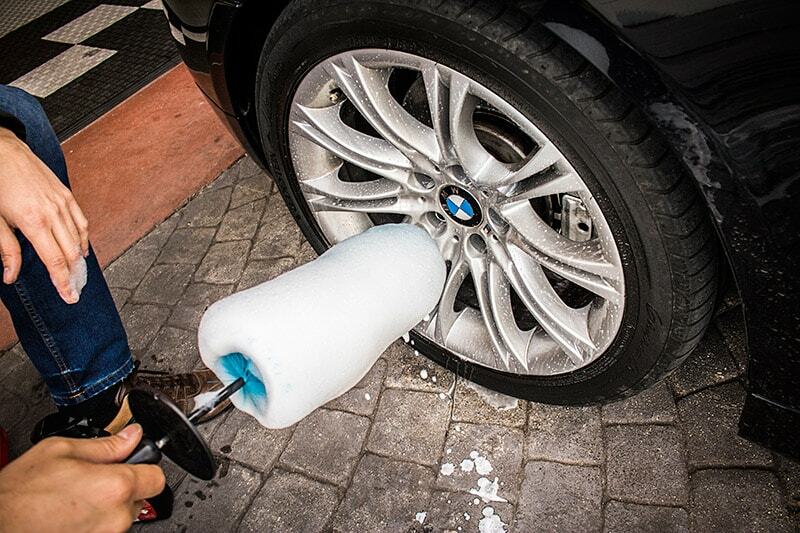 Sweep deeply any surface without scratching the metal, easily accessing the most challenging places. Ergonomic design, with rubber grip and hand protector. Its metallic axis is malleable, and therefore we can modify its shape to reach any area, and then return it to its original position. 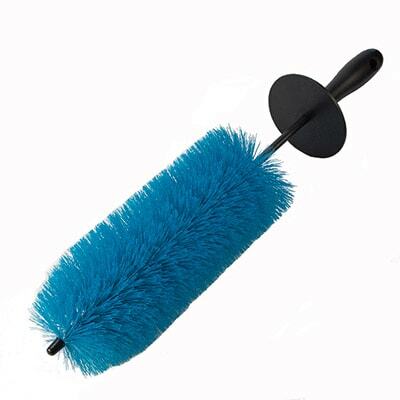 Length 50cm, diameter of the bristles 10cm, bristles along 25cm of the brush. 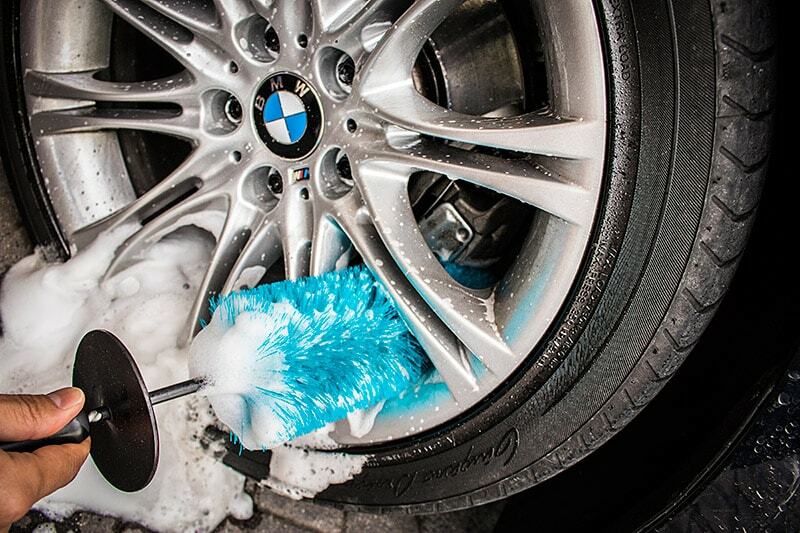 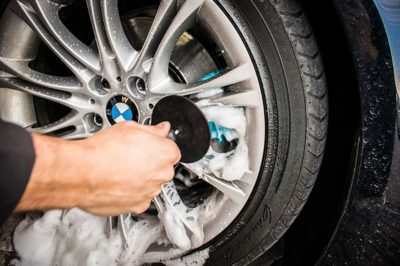 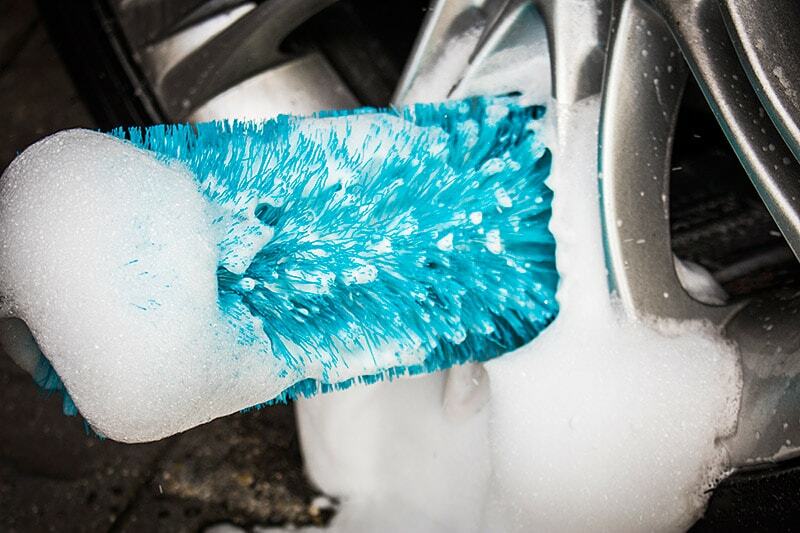 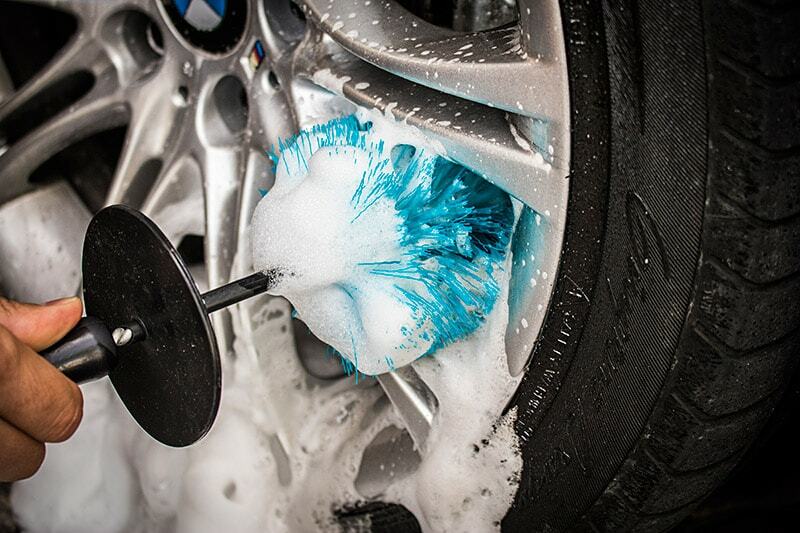 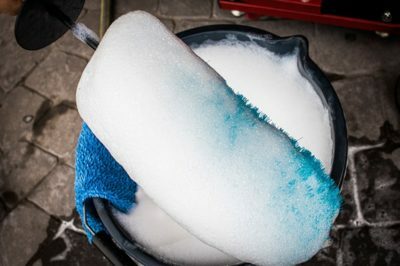 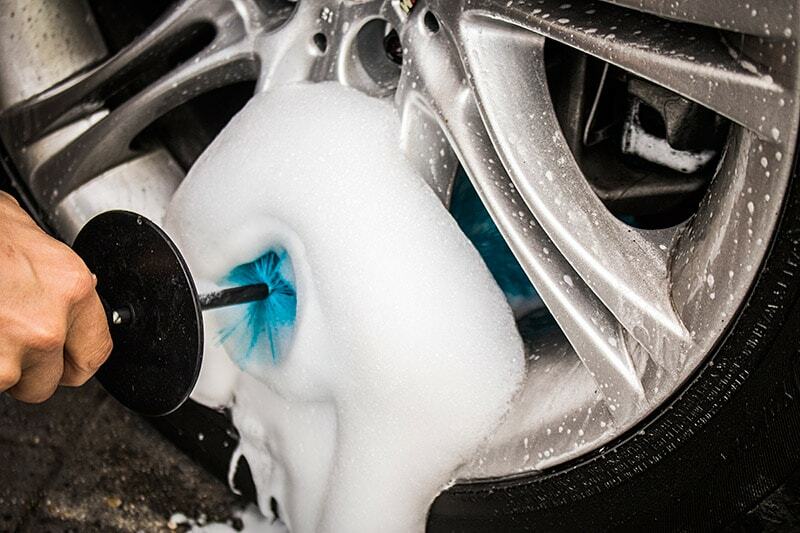 Combine a good wheel cleaner product with this brush. 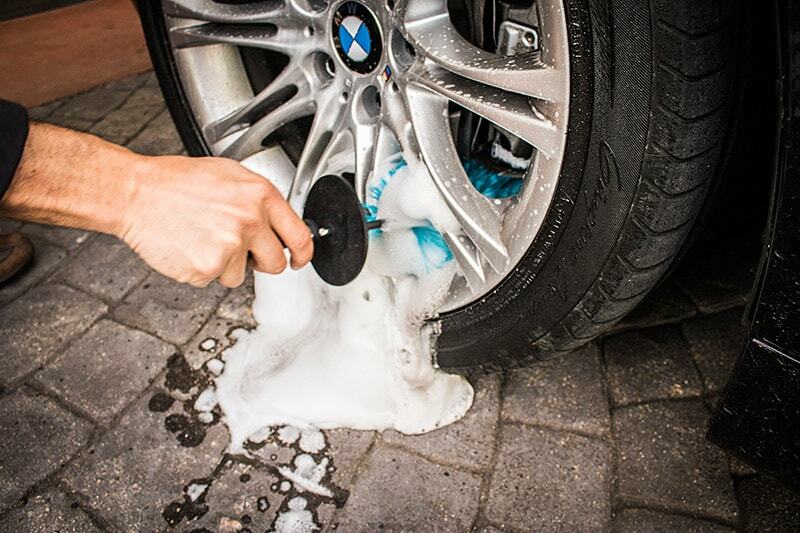 Rinse with clear water before and after use to eliminated remain product. 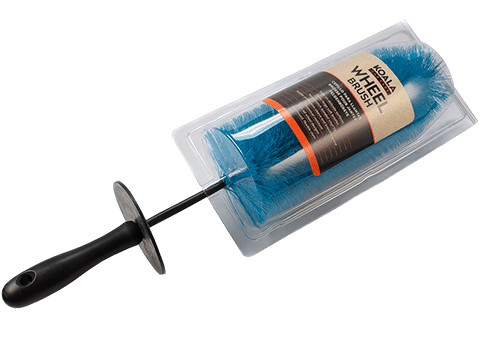 The brush is an accessory considered as a consumable, and therefore has a duration determined by the type of use and care provided.